Contact Milagro’s Development Manager at 503-236-7253 for more information or to become a sponsor. Season sponsors are an essential group contributors, supporting Milagro’s mission and vision, helping to ensure the quality of our work and our efforts to provide a community place to experience and enjoy the arts. Sponsor a Milagro MainStage production of your choice. 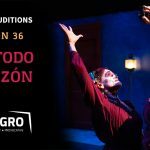 Be an integral part of a Milagro production—allow us to develop original or commissioned work, engage exciting artists or make special investments in the creative capacity of a production. Sponsor a Milagro MainStage production of your choice. Enable Milagro to develop original or commissioned work, engage exciting artists or make special investments in the creative capacity of a production.  Complimentary tickets to event or production of choice.  Volunteer to become an usher!